Send Mom Some Old Fashioned Candy Favorites this Mother’s Day! When we think of sending candy as a gift, the first image that typically comes to mind is a box of chocolates. And while I’ll be the first one to tell you that is a spectacular gift, we have a candy gift idea that just might be even better! This Mother’s Day, why not send Mom an assortment of nostalgic candy favorites that she may not have enjoyed for many years? Whether she grew up in the 20s, 30s, 40s, 50s, 60s, 70s or 80s, you’ll find a spectacular assortment of fresh candy delights to help her celebrate her special day the sweetest way possible! If you’ll be spending Mother’s Day with your mom this year, you can go one step further and build her a gift basket of tempting treats. Live too far away to be there in person? A shipment of sugary delights is the next best thing! While some candies have been popular for many years and are a favorite that multiple generations grew up with, others are spotted a bit less often and will make an even more special surprise. 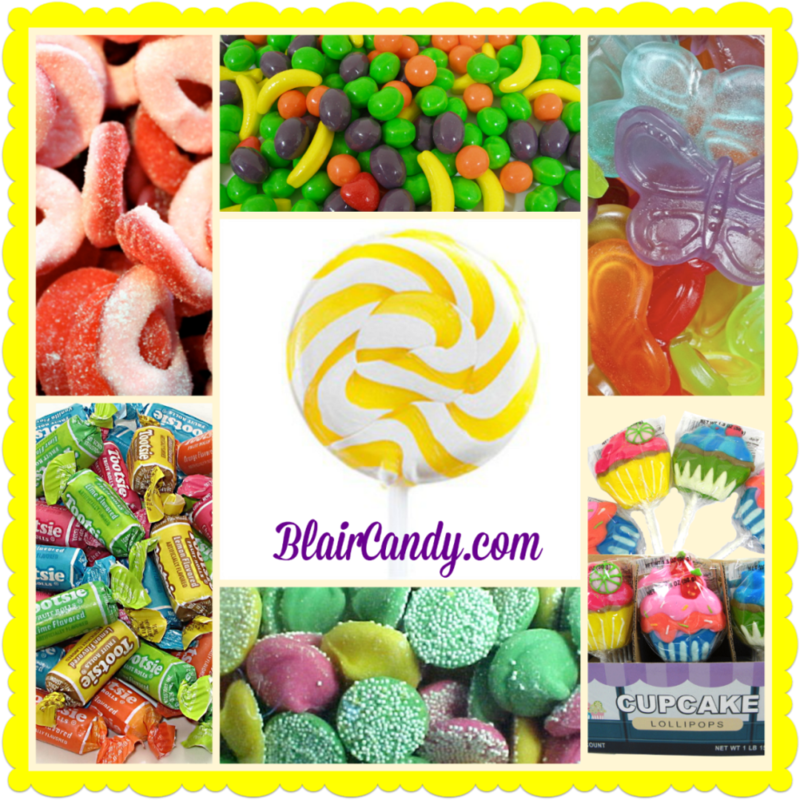 Below are a few of Blair Candy’s retro candy top picks to consider. Rock Candy Lollipops – Rock candy dates back hundreds of years – a favorite of all! Want even more nostalgic candy goodness? Check out our Candy by Decades page! Colorful Candy That’s Perfect for Spring Parties! When it comes to snowy, cold winter weather, some of us aren’t quite out of the woods yet. At Blair Candy Headquarters in Pennsylvania, spring is having a tough time this year! But there are sunny days on the near horizon, and we’re more excited than ever to spend some quality time outdoors soaking them up, whether we’re enjoying a warm Saturday relaxing on the porch, or tending to our poor yards and gardens, for whom winter has been especially rough! In addition to more time outdoors, spring often means more time with friends and family. Winter has a way of keeping us holed up inside, with temperatures sometimes dipping below 0 degrees, making a night curled up on the couch more appealing than a night facing the elements! But once all the snow and single digit temps have finally disappeared from the forecast, there’s a lot of catching up to do with all the people we love and miss the most. And one of the best ways to catch up is a party!